Human faces and bodies can be given the attributes of other animals. 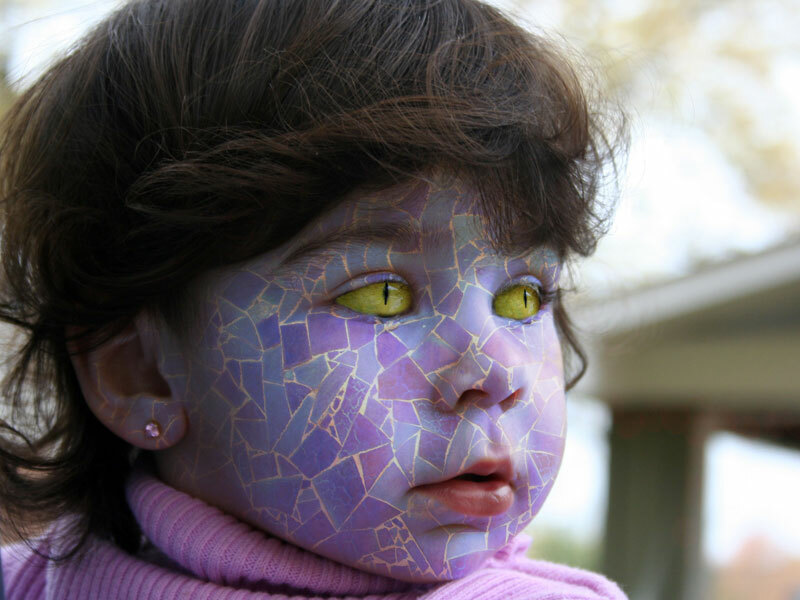 In this case, the young girl has been given a patterned skin and reptilian eyes. The pattern matches the contours of her face and the eyes matched the original direction of the child's gaze. Prices for this sort of treatment vary depending upon the specific requirements of the customer. Typically prices range from £20 to £40.